Which of the following products is most commonly sold on the basis of the emotional attributes of its brand name? Emotional aspects of a brand appeal to lifestyle associations. Have you ever seen industrial printing equipment, fresh milk and cheese sold as a lifestyle purchase? (It’s possible, but much less likely than for soft drinks.) 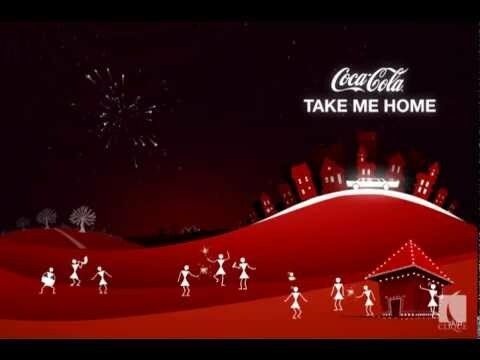 We hope you remember the Coke Diwali ad which targets the emotional connect Indians have towards their loved ones. Option 'B' hence is the most appropriate choice here. Palmolive soap, shampoo and moisturizer brands belong to a brand _________. A group of brands related to one another and having a 'parent' brand that imparts an aura of quality and trust to the entire family is called a 'Brand family'. Ex. Videocon is a family brand name for a variety of products of Videocon Corporation. Its TVs, VCRs, refrigerators, washing machines and air conditioners go under the Videocon brand name. A differentiated product may be unique in the marketplace, but it will only be successful under which of the following circumstances? Differentiation only works if buyers appreciate the point of differentiation. If the differentiated features do not satisfy their needs, the product is less likely to be bought. Option 'A' hence is the correct choice here. A brand is a shorthand method which a manufacturer can use to identify its product as being distinctive. However, to be of value to a customer, this depends on which of the following brand characteristics being present? Brand consistency ensures that people come to know a brand by one name or "face" and are thus more likely to remember it when it comes time to buy products in the brand's category. The importance of brand consistency is further highlighted when one takes into account that the best brands are those with the best brand positioning (the aspect of brand identity communicated to the target market). When companies fail to be consistent with branding, they thus also run the risk of not only confusing customers, but also sending them a message that doesn't sell their products. Which of the following is NOT generally recognized as an element of the marketing mix? Profitability should be the outcome of a successful marketing mix, and not a part of the marketing mix formulation.